Remembrance Sunday is approaching. Have you got your Poppy? Remembrance Day (also known as Poppy Day) is a memorial day observed in Commonwealth of Nations member states and some other countries, since the end of the First World War to remember the members of the armed forces who have died in the line of duty. Remembrance Day (Veterans Day in the United States) is observed on 11 November in most countries to recall the end of hostilities of World War I on that date in 1918. Hostilities formally ended “at the 11th hour of the 11th day of the 11th month”, in accordance with the armistice signed by representatives of Germany and the Entente between 5:12 and 5:20 that morning. “At the 11th hour” refers to the passing of the 11th hour, or 11:00 am. The memorial evolved out of Armistice Day, which continues to be marked on the same date. The initial Armistice Day was observed at Buckingham Palace, commencing with King George V hosting a “Banquet in Honour of the President of the French Republic during the evening hours of 10 November 1919. The first official Armistice Day was subsequently held on the grounds of Buckingham Palace the following morning. Remembrance Day in the United Kingdom (UK) honours the heroic efforts, achievements and sacrifices that were made in past wars. The main observance is on the second Sunday in November, but 2 minutes of silence is also made on November 11. 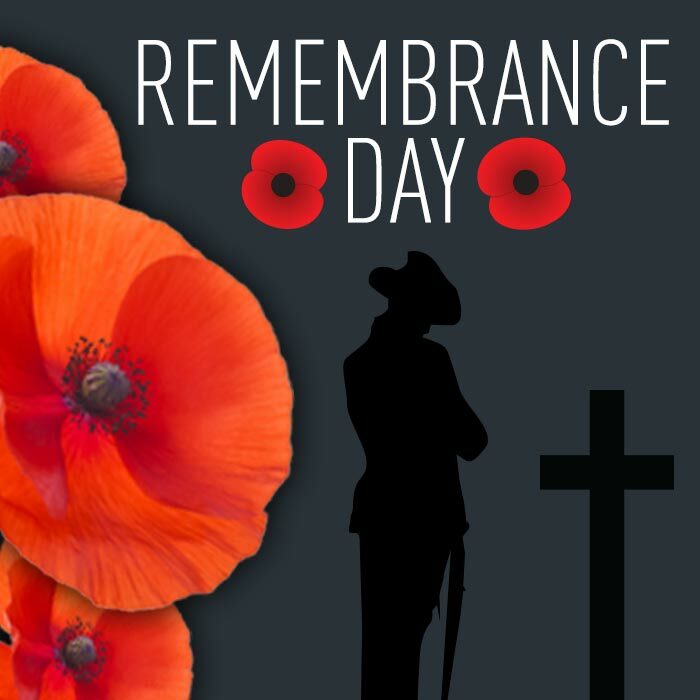 Remembrance Day is an observance and not a public holiday in the UK, though many businesses may temporarily pause activity at 11am for 2 minutes of silence on November 11. 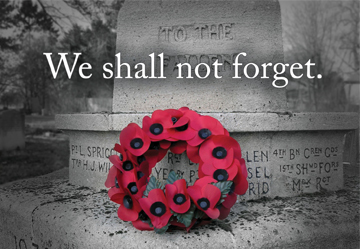 The red remembrance poppy has become a familiar emblem of Remembrance Day due to the poem “In Flanders Fields”. These poppies, the seeds of which can lie dormant for years, until the ground is disturbed, bloomed across some of the worst battlefields of Flanders in World War I; their brilliant red colour became a symbol for the blood spilled in the war. Here at Masterflex, we will be wearing our poppies while continuing to manufacturer high-tech flexible hose, ducting and connecting systems. Today, our products are in use throughout industry, helping to solve our customer’s many different application requirements. Masterflex Technical Hoses Limited can also design and manufacture a hose or ducting product to a customers’ specific requirement. This entry was posted in Antistatic & Electroconductive hose, Automotive - Motor sports / F1 / Boats / Rail, Chemical - food & pharmaceutical, Environmental, High Temperature Hose, HVAC - Heating, Ventilation and Air Conditioning, Microbe & Hydrolysis-Resistant Hoses, Street cleaning leaf and grass collection, Woodworking Industry and tagged abrasion resistant hose, air and ventilation hose, Chemical Ducting Fume Extraction, DUCTING, Ducting Connecting Systems, Ducting Exhaust Extraction, Ducting PU Hose, ductings, Dust extraction hose, dust extraction hoses, Dust Extraxction Ductings, Exhaust Extraction Ductings, Exhaust Extraction Hose, exhaust fumes removal, flexi ducting, Flexi Ducting Hose, Flexi ductings, flexi hose, Flexi Hoses, Flexible ducting, flexible ductings, Flexible hose, Flexible Hose Polyurethane Ducting, flexible hoses, FlexiHose, Fume Extraction Ductings, Fume Extraction hose, High temperature ducting, High Temperature Ductings, High temperature hose, High Temperature hoses, hose, hoses, Masterflex technical hose ltd, Masterflex technical hoses ltd, Polyurethane ducting, polyurethane ductings, Polyurethane hose, polyurethane hoses, PTFE Ducting, PTFE Ductings, PTFE Hose, PTFE Hoses, PU DUCTING, PU ductings, PU hose, PU hoses, PUR hose, PVC ducting, PVC ductings, PVC Flexible Ducting, PVC Flexible Ductings, PVC hose, PVC hoses, Silicone Ducting, silicone ductings, Silicone Hose, silicone hoses, suction and transport hose, templine Heated Hoses, Weld Fume Extraction, Weld Fume Extraction Hose. Bookmark the permalink.